Politicians frequently talk about “two Americas” with the wealthy living in a different universe than everyday citizens. In the minds of horror film directors, there’s a third America on the fringes of our world. They don’t live by societal rules and wait for a group of teens to stumble upon their depraved world. Our normal standards for evil don’t do them justice, and regular killers seem mundane by comparison. Their havens are the backwoods of the Midwest where even the cops are in on the plan. It’s the type of place where a gas station has no gas and the smell of a meat processing center permeates the air. Ideas of morality go out the window, and cannibalism and other foul practices are fair game. Tobe Hooper’s The Texas Chainsaw Massacre provides an early example of this grisly setting. Released in 1974, the low-budget horror film was an underground hit and spawned countless imitators, sequels, and remakes. It also set the stage for a nasty sub-genre that still inspires filmmakers today. The situation is familiar. Sally Hardesty (Marilyn Burns) and her wheelchair-bound brother Franklin (Paul A. Partain) join three friends to visit their grandfather’s grave. They venture into the country in a van and run into some odd locals. The town is dilapidated, and even the friendlier folks are creepy. They pick up a weird-looking hitchhiker, who burns up the van and cuts Franklin with a razor. He’s out of his mind and speaks gibberish, yet it takes a lot for them to eject the guy. A friendly reminder: Don’t pick up hitchhikers that look insane! The characters seem less concerned about this encounter than they should be. There’s a sense that doom is just around the corner, but they walk into houses without thoughts of their own safety. It’s only a matter of time before something awful happens. I’m not really a horror film guy, though I’ve enjoyed specific movies. They just aren’t my first choices most of the time. That’s the reason that several made it onto my list of blind spots this year. 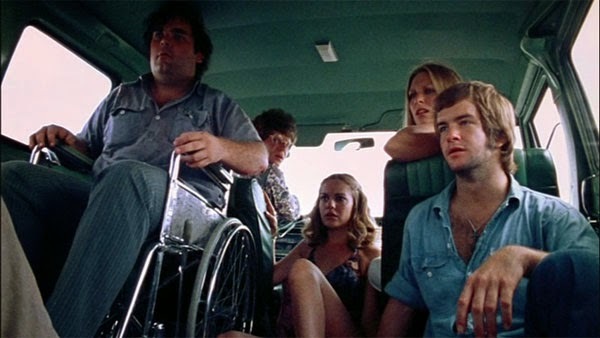 The Texas Chainsaw Massacre is a perfect choice for the Blind Spots series because I’d avoided it for so long. The first surprise is how little the chainsaw plays a role. Leatherface (Gunnar Hansen) does kill one of his victims with the title weapon, but it isn’t shown directly. This isn’t a particularly gross or scary film, but that doesn’t mean it's not unsettling. The famous dinner scene in the last act makes quite an impact. Burns spends the last 20 minutes screaming constantly while the deranged family sets up their meal. From what I’ve read, the production was just as disturbing as the final product. Hooper takes his time and keeps us focused on the ugly behavior with no escape in sight. Anyone who’s watched many horror films will see the influence from this source. Newer releases have ramped up the violence and artistry, but they’re working in a similar framework. Much of it was spoofed in The Cabin in the Woods, especially the gas station scene. Along with Halloween and earlier releases like Psycho, it set the mold for modern horror. The mystery is the key. We learn very little about Leatherface or his family, and that sells them much better than a complex back story. His simple make-up and crude mask also work because they fit with the rougher tone. The budget isn’t clear, but the highest estimates are around $300,000. This led to awful working conditions, but those certainly contributed to the uncomfortable environment. This place doesn’t look better in the daytime. There’s little beauty in this land, and the buildings have degraded into a dire state. There’s plenty to like with this film, and its influence is unquestioned. Even so, there are cracks in the armor. 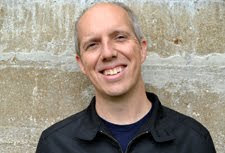 The non-professional actors aren’t convincing, particularly Paul A. Partain as Franklin. He’s a grating character, and it isn't about his disabilities. Franklin’s a downer and exists to fall down a hill or get in everyone’s way. He does participate in the movie’s funniest scene, a ridiculous argument with Sally after their friends disappear. Her exasperated “give me the flashlight!” pleas while he tries to join the search provide great unintentional humor. The major chase between Leatherface and Sally is also great fun and involves her repeatedly running into a worse spot. She sprints into his house and then traps herself upstairs, leaving only the glass window. Leatherface seems more interested in killing the door than her, so that helps Sally’s case. Watching The Texas Chainsaw Massacre won’t inspire me to catch up with other films about cannibals and grave robbers. It was still an important touchstone to see, however. What’s surprising is how long it takes to reveal Leatherface. There are few indications that a chainsaw-wielding killer is lurking behind the scenes. Without the sensational title, audiences would have little knowledge of what is coming. Hooper even uses the fake “based on a true story” device to make it seem legitimate. The stories of the production are just as interesting as the movie, and multiple books have been written about its creation. While it seems tame by today’s standards, there are still a few shocks in store for modern audiences. The unsettling mood sticks with you for a while, and you can’t underestimate that impact. The best thing about it is that everything happens in daylight. We're so used to scary movies happening at night, that seeing these atrocities happen in full sunlight is incredibly unnerving. You're right about the acting, but I don't care. It's all about the visceral thrill and giving the lizard brain something to react to. Definitely. 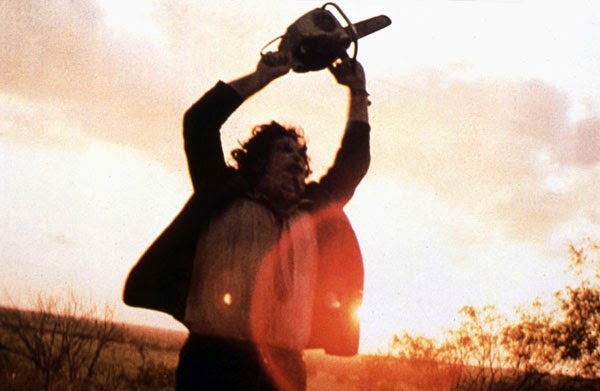 The only nighttime part that's significant is when Leatherface chases Sally, and even that is a pretty bright scene. I see what you mean about ignoring any acting or other issues. It's quite an unsettling film, and not because of any violence or cheap scares. Glad to hear it. Thanks! I saw this for the first time a few years ago myself, and I wasn't a huge fan of it, either. I respect it for what it is, and for the fact there's actually very little blood yet it gives the impression it's an incredibly bloody film. But Franklin is easily one of the worst and/or most annoying characters of any film I've ever seen. Also, the "based on a true story" isn't *entirely* fake. It's based ever-so-lightly on Ed Gein, much like Psycho and Silence of the Lambs. I can totally see the influence and did like it overall. It's a creepy movie, but there are some less thrilling parts of it. Franklin is one of the big examples. I read about the Ed Gein connection, though I feel like the movie sold itself as being closer to truth than just related to it. I have to agree with SJH on this one. It is all about the visceral thrill and the unnerving atmosphere Hooper manages to create. These things carry the movie so much so that I can ignore some lackluster acting. I totally agree on the unnerving atmosphere, which is what really sticks with me for the long run. I don't mind if the acting isn't amazing; Franklin was just a different level. This is one of my favorite horror movies. I'm glad you got a chance to watch it! It was definitely worth seeing. Thanks for stopping by! Glad you took the plunge on this despite not generally being into horror. To me, a lot of the scary, creepy vibe of this film comes directly from its budget and the filming conditions. It's been a while since I've seen it so the details are a bit fuzzy, but I remember Leatherface chasing someone around the outside of a house at dusk (or some other low light timeframe) and it felt almost like documentary footage to me. The complete opposite of slick, the camera was far away and shaky, as if we're looking through the eyes of a bystander who happened upon the situation. Really scary stuff. And that end shot is one of my favorites in all of cinema. I love that you made it your top image! That final shot is chilling; it reminds us that Leatherface is still out there ready to terrorize more teens. I totally agree that the low budget made a difference. To a lesser extent, the same thing is true with the first Evil Dead. Reading about that production in Bruce Campbell's book makes its existence seem pretty amazing.